Little Live Pets hedgehogs are cute n' fun all rolled into one! touch their nose and they roll into a ball! watch them hide away then pop out their head and continue to play! they’ve rolled into town and they love to explore! WHITE CASES ARE NOW SOLD OUT Brand new and sealed Tamagotchi cases for the vintage P1, P2, morino, umino, angelgotch, devilgotch etc. They fit the new 2017/18 releases too! These keep your beloved pets safe from scratches, knocks, falls and general harm. Each case comes with a small sheet of stickers for you to decorate the cases! The white ones have a pretty speckled effect and the brown ones have glitter. I combine postage up to 6 cases so save yourself some money on postage! PLEASE TELL ME WHICH COLOUR YOU WOULD LIKE IN THE COMMENTS WHEN PURCHASING, OTHERWISE I WILL SEND RANDOM COLOURS. Pink bird, purple bird and green parrot plus cage with peach which can be shared by two birds. In good working order although a little grubby from play - I've sponged them down but you could scrub at them harder if desired. The new 5th Generation Voice Recognition Puppy is the first Teksta Puppy who actually listens and understands you. This life-like robotic puppy responds to your voice, physical gestures, touch, and sounds. Sparkles is a dancer, coming from a distant land of magic, Unicorn that you can turn into your new adorable pet. Its design is a striking Fuchsia color, with a beautiful and long hair that you can brush your horn has magical lights! Furby White And Dark Pink Working Fine With Spoon And Manual. Condition is Used. Dispatched with Royal Mail 1st Class. Battery terminals good and corrosion free Shelf stored not played, good clean condition. Little Live Pets Butterfly House Including Butterfly. This item is used, but in good condition. Fully working although will need a new battery soon. Dispatched with Royal Mail 2nd Class within 48 hours of payment being received. Hatchimals Colleggtibles. Hatchimal CollEGGtibles have a magical new place to play! Enter the Hatchery Nursery – an enchanted forest where you can hatch and care for your CollEGGtibles! Contains : 1x Playset, 1c Crank, 1x Bench, 1x Hatchimals Colleggtibles & Instructions Sheet. Very entertaining. Colour blue and purple with purple ears and pink tail. In perfect working condition. PAW TUCKET. RI 02860 USA. 2005 HASBRO. RARE GREEN EYES - GREY/PINK FUR. Condition is Used, Very Clean and Working. Black Tamagotchi by BANDAI from 2004. Very rare. (This toy does not talk human language, only "monkey language" :). last picture shows where to press to make it talking. Little Live Pets Ladybug Playset. 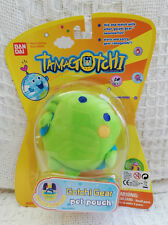 Bandai Tamagotchi 2004. Pink. In worn working condition. With wings that sparkle and a bow that glows, this pretty princess is a sweetheart who loves to show off her royal bling. Watch their beautiful wings light up as they sing. Fingerling Monkey Childs Electronic Pet Toy New Not In Box - still has the battery tab inserted. little live pets ladybug playset. Condition is Used. Dispatched with Royal Mail 2nd Class. A wonderful miniature world for your ladybugs to explore - mini in size but big on fun! It's endless fun in every direction! Watch them scoot in, out and all about their little land as they play and discover new ways to go! Condition is Used. The blue bird looks like it could do with a little bit of clean, but the green bird looks in excellent condition. Birds in fully working order. Watch them play with their ball and eat from their bowl. After all that fun, they need to rest so you'll even hear them falling asleep. Ruby is a precious princess with a heart full of love! Superior Diving Performance. 1 x Electronic Fish(1 pair battery included). It's Fashion, Creative, is a very interesting pet toy, also as an fantastic gift for your children. Battery Operated. 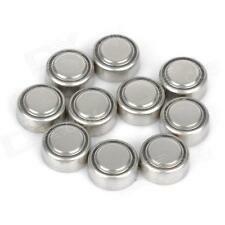 1 Pair extra LR44 Battery. Shiny gold coloured Elektrokidz Troll by Wowwee Group Ltd. These dance along to any music they hear but the batteries seem to have run out and I haven’t got any more so I can’t check whether it still works or not. These newborn creatures are fierce and unpredictable, and know friends vs. foes. Complete with snapping jaws and gripping claws, these interactive dinos react to touch, motion, and sound with over 40 different sounds and animations. Little Live Pets Bird And Cage. Condition is Used. Good working order. The bottom card is coming away. Happy Bidding. FURBY CONNECT IN PINK, COMPLETE WITH MASK. Little Live Pets Turtle Powder Blue Snowflake Lil Live Pets. Condition is Used. Dispatched with Royal Mail 2nd Class. Cuddles moves, feels and responds just like a real kitten! With a pat of the back or a tickle of the chin, Cuddles behaves in different ways! I open and close my eyes and make sleeping sounds when I'm taking a nap! A lovely Buy . Needs a battery FURBY BABY CRYSTAL FURBLING RAINBOW.. Condition is Used. Dispatched with Royal Mail 2nd Class. Genuine Fingerlings And Climbing Frame Hardly Used.. Dispatched with Royal Mail 2nd Class. little live pets. Two birds green and pink, records voices and plays back including bird cage. A little mouse, that’s quirks and runs around, includes cage and wheel. Cleverkeet that does tricks includes stands and trolley. Second hand, In good Condition. Dispatched with Royal Mail 2nd Class. 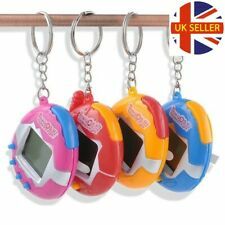 GENUINE BANDAI TAMAGOTCHI ORIGINAL 2018 VERSION GENERATION 2 - RARE BNIB SEALED. Condition is New. Dispatched with Royal Mail 1st Class. The colour is black and red, and it still has the little keychain with a blue ninja-type character. ~~~~~~~~~~~~~~~~~~~~~~~~~~~~~~~~~. Little Live Pets My Dream Puppy. In perfect working order. Used. Dispatched with Royal Mail 2nd Class. Fantastic condition from non smoking no pet household.